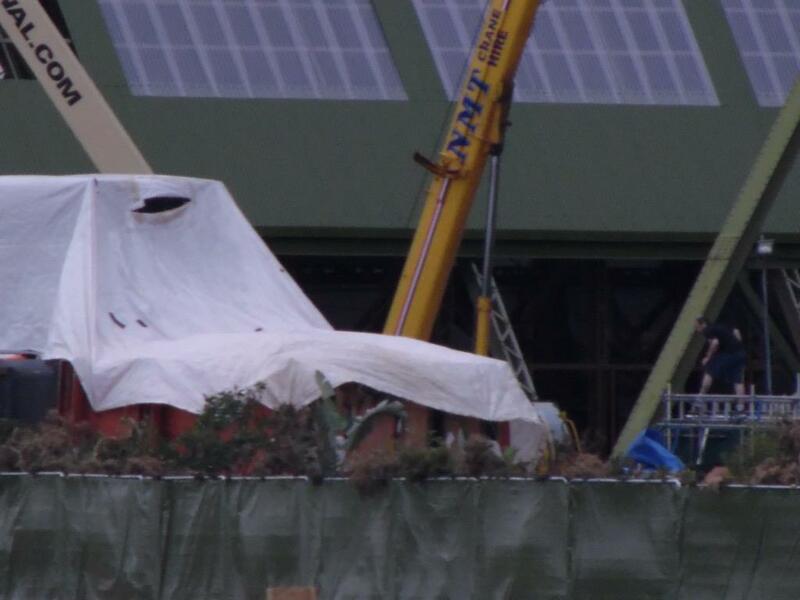 Look what showed up at Cardington today for Rogue One: A Star Wars Story! 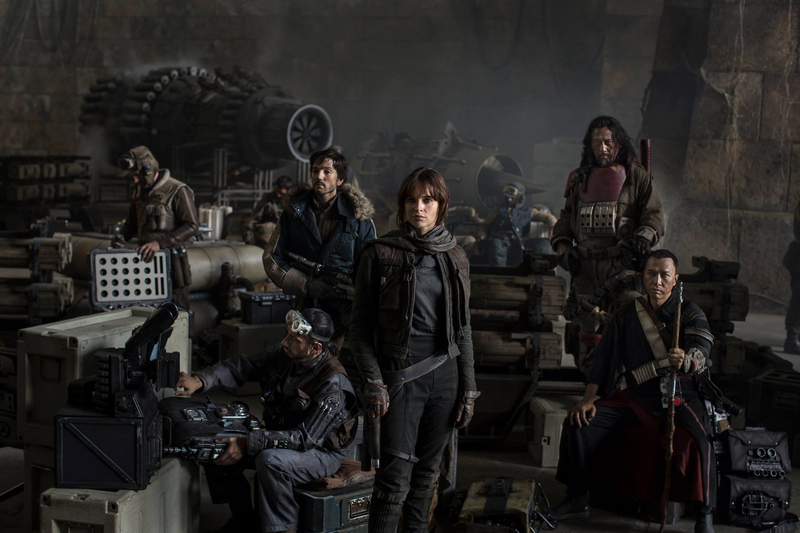 POTENTIAL SPOILERS FOR ROGUE ONE: A STAR WARS STORY BELOW! Our buddy Trevor at Cardington Sheds has captured some more great images for us today. 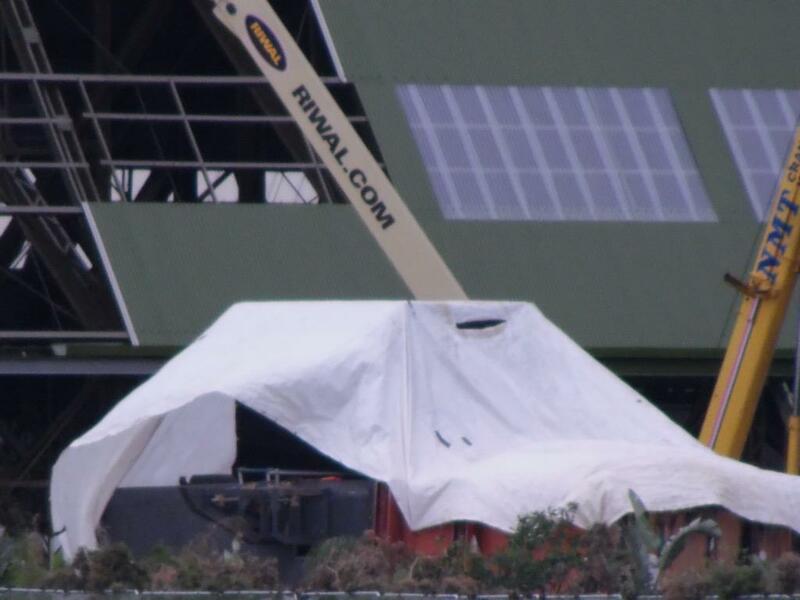 His friend Stephen Webster noticed what’s under these tarps right away. Yep, the landers from the article we ran recently. That has some really interesting possibilities as they appear to be in a temple like the one from A New Hope. Do they use a lander to infiltrate an Imperial base (the Death Star)? Or does this lander invade this base (which would probably mean it isn’t the one from A New Hope)? Lots of possibilities! The lander is outside the temple. 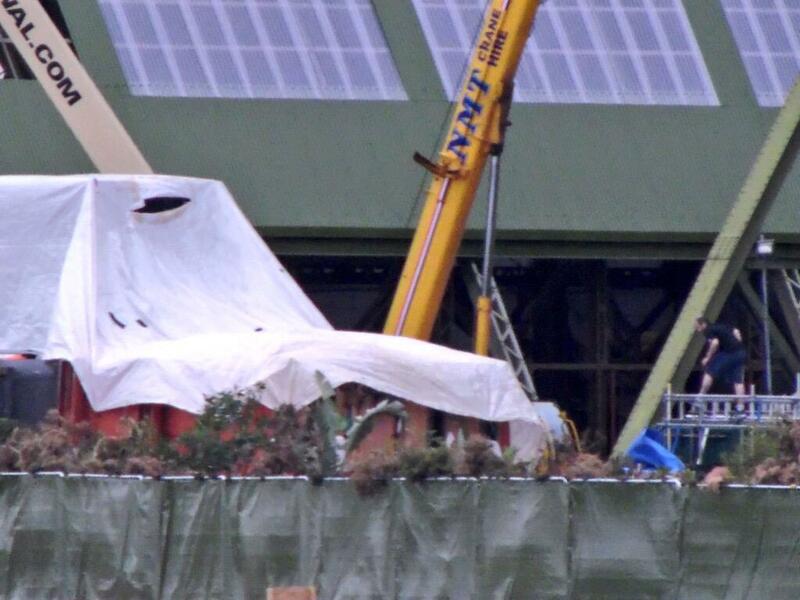 We have also heard that the temple set goes inside the “shed” and isn’t just a front (at least not entirely).